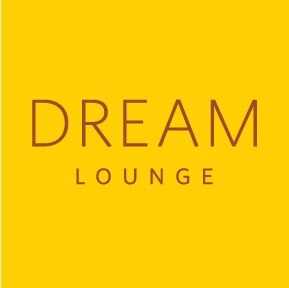 DREAM LOUNGE (San Fernando, Trinidad) – Opened in Gulf View, DREAM LOUNGE is surely to become a hot ‘limin’ and dining spot in South. (868) 223-CHIC or 681-1747. Link to Dream Lounge menu and Facebook page. PIT ‘N PUB BAR & LOUNGE (Port of Spain, Trinidad) – Hours: Monday-Thursday 1oam-2am; Friday-Saturday 10am-4am and Sunday 4pm-midnight. #31 Charlotte Street, POS. (868) 624-2331, 624-4248 or 624-2000. CINNABON (Movietowne Chaguanas, Trinidad) – Opens Friday, January 25th at 4pm! 17 PARK AVENUE (Port of Spain, Trinidad) – 17 PARK is slated to open in January 2013, and as a restaurant with a demonstration kitchen, it’s a fresh addition to Trinidad’s dining scene. Open for lunch and dinner, Monday-Saturday. #17 Park Avenue, opposite Victoria Square. (868) 678-6565. Link to 17 Park Avenue’s Facebook page. BENIHANA RESTAURANT (Trincity, Trinidad) in Trincity Mall has closed. CAFFE LADO (Maraval, Trinidad) in Ellerslie Plaza has closed. thank you for visiting thehiddencook.com and reading the posts ‘dream ultra lounge & bar review’ and ‘addendum to dream ultra lounge & bar review’. I look forward to more of your posts in the near future! Hi trinichow…well i finally made it to this place. It didn’t live up to it’s hype at all …in fact the dream turned into a nightmare! :( I was there recently with a large group…we made reservations..we really didn’t need to because apart from another family we were the only people having dinner. The place was virtually empty…i went with children having read Mark Hopkins review…i went there to give it a try then decide for myself. They seated us upstairs and all i have to say about that regarding children is that upstairs is a death trap waiting to happen! To seat families with children upstairs is such an ill conceived scheme because there are wire cables running along the periphery of the loft and at any point i felt as though a child would slip through it…the children are toddlers so we had to be very vigilant with them…i would have felt a lot more at ease as a mother if my child was not faced with two tempting staircases and cable wires with gaps. I get that they obviously don’t want children in the place so they have to make it as punishing as possible for those of us who carry our children so that we won’t make that mistake again. Kudos there Dream! Now onto the food…deep breaths….we asked for fries for the children and were told there was no potatoes. Basic french fires not available….i asked for jumbo shrimp Thai curry ..not available…someone asked for fried calamari and was told that the manager did not make it to Pricemart to purchase the calamari there! We realized then it would be a long night…to say the least. I eventually ordered the regular sized shrimp curry…it was ok…red curry out of a jar and added to coconut milk…nothing that a cooking neophyte would be unable to do. Others in the group ordered chicken skewers (which they received beef) and beef satay..the meat was interminably tough…in fact i had a good chuckle watching my sister try to eat her skewer…hey when life hands you lemons,….We also started with Thai wantons…they were regular Chinese wantons and very bland ones at that. This is another real problem with the food as well….it was a party of 8 people and the food came out at different intervals. The beauty of dining together is just that…dining TOGETHER. We didn’t go there to eat at different shifts!! I can’t try as i might comprehend why on earth a group of diners in an empty restaurant would be served so disjointedly! I hope readers of this blog will take my post seriously because when it comes to food that is my background. I am a trained chef and know a thing or two. Dream please take time to train your staff…always serve food from the left and drinks from the right and please don’t let staff hand costumers a piping hot plate of food! Train them to rest the food in front of the customer…basic restaurant training. The staff was affable …they tried their best to help…we were met with no effrontery at any time….and that says a lot for Trinidad. The next unsettling point is that the mangers of this place were there…i saw a couple of them and what i highly recommend to them if they read this review is to take time to go out and chat with the customers. This is how you can people’s loyalty…if one of them took the time to spare us a chat and show some simple appreciation to us for trying the place then maybe they would see us again. Sometimes customers forgive huge errors based on manger/customer communication. At no point did any of them do this. I thought it was very aloof ..and urge them to rethink that. For my money people i would recommend Mor Vino…i have never gone there and left disappointed. The sushi chef and part owner there always takes the time to chat with us however busy he is. In fact he won my loyalty when he asked what was my son’s name and said he wanted to try to remember it….i thought that was very sincere and thoughtful. Please note i am in no way affiliated with Dream or Mor Vino..this is simply my experience with both restaurants! Please people don’t be fooled by reviews of Dream on facebook… i am convinced it’s their friends or family being nice to them…or people with no palate…If u want to play dress up and pose then go to Dream…nice decor and ambiance for “a scene”…if u are truly into food and family and an unpretentious atmosphere then forego it…. Thank you for your review Gypsie. We regret that you had a difficult experience at Dream, and we are working to address the issues you mentioned and fine tune our customer service and the overall experience for our valued Dream customers. Thanks so much for the link, loving this blog! i checked out Dream’s page…it seems as though it’s a vegetarian menu…not impressed. Hi Gypsie, we checked Dream’s menu online too. Our understanding is that Dream does offer dishes that contain meat, poultry and fish…looks like the complete menu may not have been posted yet. We’ll try to visit soon and let you know for sure.